What happens after women reach equality in leadership? If it’s the same old, same old, what difference will it make? Why bother working for gender equality and parity if the now 25 percent of Congress who are female, and the women making their way into business leadership, adopt the methods of using power that they learned from the current culture? I want to hear from you about this. Take the advice of author, CEO and VHH guest Dufu about getting the most from networking. Learn what makes employees feel whole and keeps them with you. Handling naysayers at work can shift productivity and contentment. 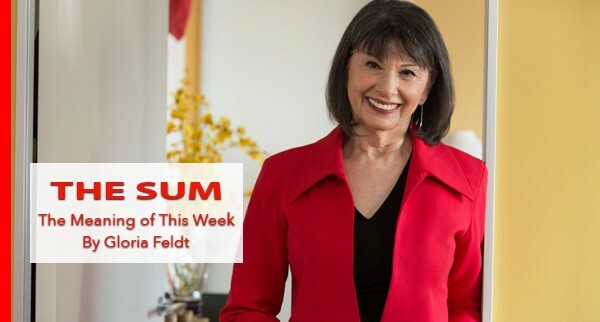 Revisit a recent Take The Lead Virtual Happy Hour with feminist icon Gloria Steinem in conversation with Take The Lead co-founder and president Gloria Feldt. Their friendship and alliance is at work December 14 for a Take The Lead performance and fundraiser of "Gloria: A Life." See details below and register here. 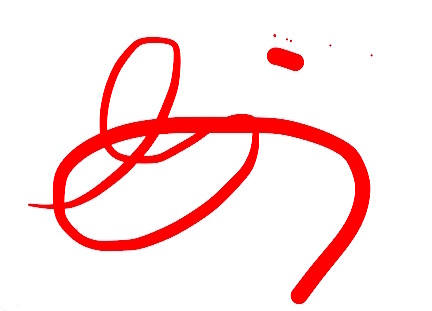 We have a program for you! If you are an emerging leader in nonprofit or social profit sectors in Arizona, including community, government and social impact sectors, or if you are in the financial industry in New York, nominate a candidate or yourself for these latest additions to the 50 Women Change The World Leadership Program. 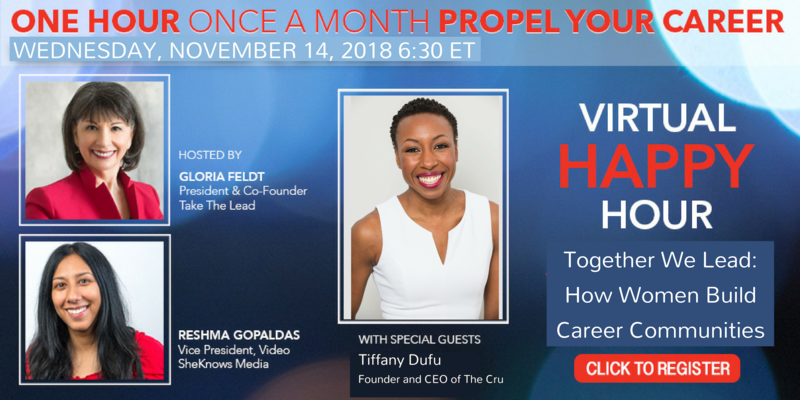 Join us when Gloria Feldt, co-founder and president of Take The Lead, and Reshma Gopaldas, vice president of video for SheKnows Media, chat with Tiffany Dufu, founder and CEO of The Cru, author of Drop The Ball, and advocate for women and girls’ leadership. Join us in this free lively discussion on owning your power to create the career you envision as we assist each other in making professional and personal progress for all women. With accountability, we can speak up and act to make change that benefits ourselves and all women. Tune in to see how you can advance yourself and all women and girls. 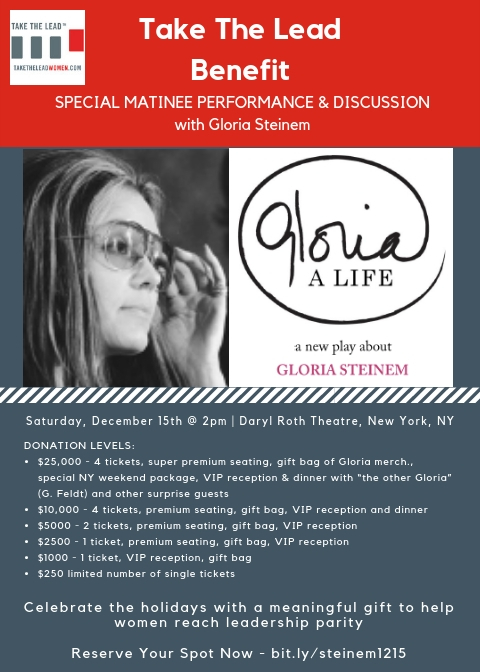 "Gloria: A Life" at the Daryl Roth Theater in New York City. A generous donor has "bought the house" so every penny you donate goes directly to fund Take The Lead’s training, mentoring, coaching, role model programs and thought leadership initiatives to change the narrative from a focus on problems to a focus on solutions. Many levels of support are available, including a VIP reception, private dinner hosted by Take The Lead co-founder and president Gloria Feldt, as well as a gift bag with books signed by both Glorias. Check out the data and graphic on the future of women in tech. Learn what economists say would make motherhood easier in America. It is way more diverse and healthier than ever.